When looking for a model of a thriving company culture, we’re hard-pressed to find a better example than New Belgium brewery, in Fort Collins, Colorado. If you didn’t know, the operation that first brought us the world award winning, nationally-distributed, and perhaps most importantly, delicious amber ale, Fat Tire is also consistently rated as one of the best places to work for millennial employees and everyone else for that matter. Recently, Outside magazine named them the #1 Culture of 2015, saying the company has, “mastered the art of on-the-job happiness.” Their culture is incredibly well-rounded, yet perfectly defined, with tenets that support environmental initiatives, employee well-being, and most of all, a passion for their craft. What makes this culture so outstanding is how connected it is to the roots and the vision of the business. These are not just tacked on corporate initiatives designed to incentivize. We’re Glad You’re Here. Happy Anniversary. In addition to being a tangible symbol of the Fat Tire brand (and a sweet ride), the Fat Tire Cruiser bike evinces the lifestyle the company seeks to promote – environmentally friendly and health conscious. The trip to Belgium affords a bridge to both the company’s founders’ initial inspiration and the roots of the craft itself. The sabbaticals reinforce that a perpetual sense of discovery matters, even decades into the employee journey. Marking twenty and thirty years into an employee’s tenure at the company not only provides an incentive for longevity, but also showcases the type of commitment Fat Tire values. Employees also get free beer – but that’s only because the company wants them to be fully informed about and invested in the product, of course. 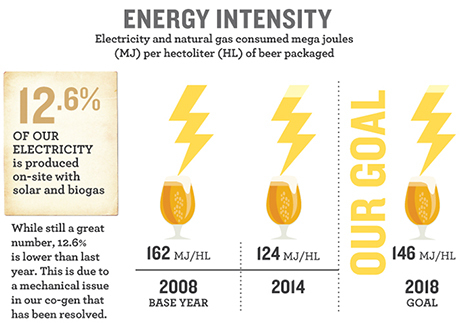 As of this year, New Belgium generates 12.6% of their electricity with solar and biogas energy. And even with the opening of another brewery in Ashville, North Carolina, the company stands committed to increase the percentage of renewables over the next three years. Fat Tire has developed a system built on a foundation of energy conservation, investment in development of new technologies and a self-imposed internal energy tax to generate funds for new projects based on consumption. This specific goal-oriented game plan is a far cry from plunking recycling bins in the break room and turning off the lights in the office when you leave for the day. Fat Tire invests significant corporate resources in the pursuit of environmental stewardship and places the responsibility of environmentalism directly in the hands of the company and its employees. The company has inextricably interwoven conservationism into the culture. It’s not something they do every year for PR, it’s a pillar of their company and how they conduct business. These resources and initiatives offered by New Belgium are greater than the sum of their parts, because they are extension of the initial vision and the Shared Purpose of the company. 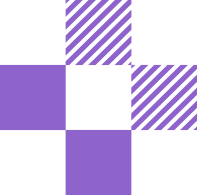 They are active parts of employees’ lives that continue to evolve as the company grows. They represent profound connections from employee to company and promote a loyalty that has far-reaching benefits for everyone involved. New Belgium’s culture works well for their company because the employee programs they’ve nurtured and curated align with and support the vision of the business. They are a part of a genuine effort to strengthen the values that the employees and company hold in common by reinforcing them in employees’ lives. Fat Tire holds no monopoly on culture building. Even though most companies don’t have the added advantage of brewing tasty beer as their business, there are myriad ways to galvanize organizational culture through alignment with the mission and symbols of the organization. Offer employees something relevant and great – it doesn’t need to be a custom cruiser, but it had better not be a shiny anniversary gold tone logo tie clip that will quickly grow dusty in a drawer or wind up on eBay for a few bucks. After all, receiving a recognition “gift” that nobody wants is a bit like throwing a party for a bunch of people you don’t really like.